Slips made especially to fit composition and cloth mama dolls from the 1920s and 1930s. 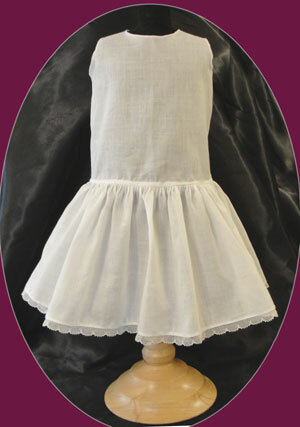 The slips are made of off white 100% cotton batiste and trimmed with 100% cotton lace. 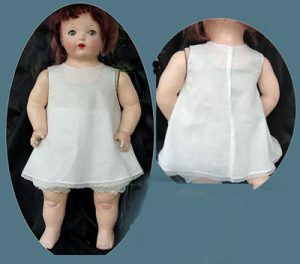 The slips fasten in the back with snaps.To find your doll’s size, measure her from the bottom of her feet to the top of her head, not including the hair, and that is her size. 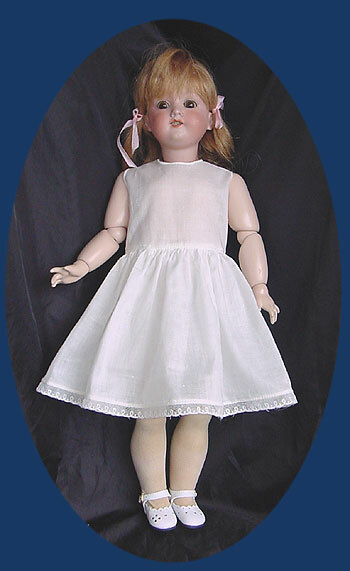 The slips will be too big on an all-composition doll, these are made for composition and cloth dolls. Be sure to choose your size. 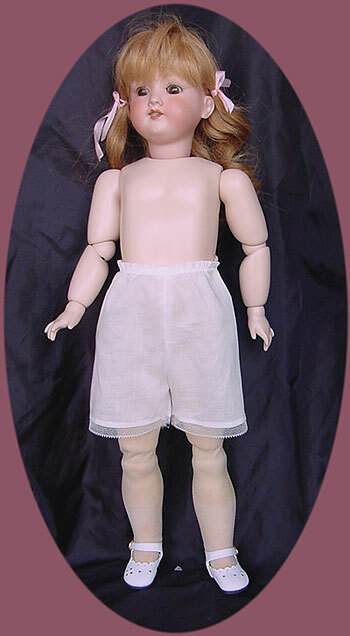 There are no refunds or exchanges on my doll clothes. I am always happy to help you figure out if the clothes you like will fit your doll! Feel free to call me any day between 12 noon and 10 PM at 360-836-7556 or email me with any questions.